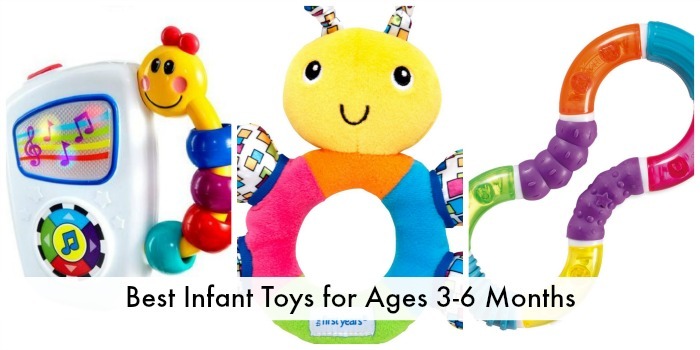 Continuing on from the best infant toys for your baby age 1-3 months, here are the best infant toys for your baby ages 3-6 months! As your baby continues to grow, you will begin to notice remarkable leaps in development. The interaction with your baby becomes receptive, with your baby responding more to your emotions and voice, and they begin to recognize and identify many objects with ease. The ages between 3 and 6 months bring more amazement to both you and your baby. This post contains affiliate links. 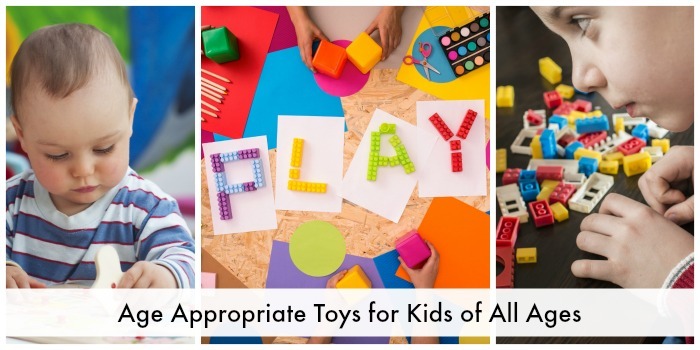 As your baby is growing leaps and bounds, here are the best infant toys for your child between the ages of 3 and 6 months. Throughout the third month, your baby will respond more to your interactive play time especially with movement and sound. He or she can’t grasp items, so you will have to place the toy in your baby’s hands and help him or her shake it to make different noises or pull at it to make another object move. More developed baby gym sets that encourage physical movement and cause and effect are best during this stage. You can encourage tummy time for more exploration, but always ensure your baby is supervised as he or she is not strong enough to hold him or herself up for a long period of time. As your baby develops through his or her fourth month, you will begin to notice better coordination with eye detection and related hand movements. Your baby will now be able to reach and grasp objects, so you want to ensure the toys are just the right size for little hands, but have large pieces as your baby still loves to place objects in his or her mouth. Stuffed animals and soft rings that are easy to grasp are all great options. Your baby is better at seeing color at this stage, as well as high-contrast patterns, so you may want to upgrade an infant play center for a more interactive model. During the fifth month, your baby’s eyesight continues to develop allowing him or her to see faces and objects much clearer than before. Shapes, different textures, and various sizes are intriguing to your baby. Grasping becomes easier and most objects still will go straight to his or her mouth as a form of identification or maybe even teething, so teethers are still a great option. You can begin to introduce your baby to larger toys and increase tummy time for more muscle strength. At this age, you can also begin to sit your child up on a supported baby chair or your lap for interactive playtime. Your baby will continue to love toys with lights, sounds, and mirrors as the cause and effect, as well as face recognition continues. Don’t be surprised if your six month old begins to sit up with either a little or no assistance. Your baby’s muscle strength is developing quickly at this stage and so is he or she’s need for discovery and adventure. 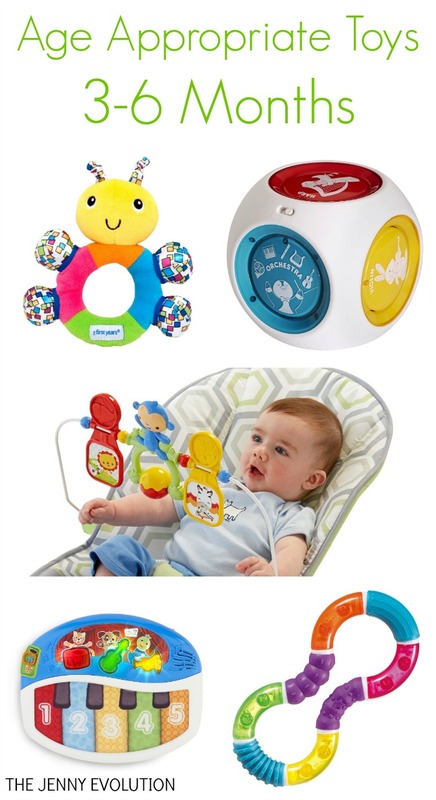 Large toys that make music or light up with an interactive cause and effect system will entice your six month old for hours as the sleep time during the day decreases. Buy toys with vibrant colors, but that are not too small that they fit completely in your baby’s mouth that could become a chocking hazard. Trifflins are rattles are the safest and fun toys for infants, also helps them to coordinate movement and learn the concepts of color, shape & size.